This cuddly knitted Microwaveable Owl Hottie is the perfect way to keep warm and cosy at night, in bed or cuddled up on the sofa. Fragranced with relaxing lavender to help you drift off to sleep. 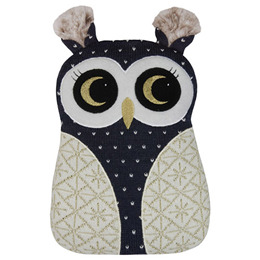 Below are reviews of Aroma Home Microwaveable Owl Hottie by bodykind customers. If you have tried this product we'd love to hear what you think so please leave a review.